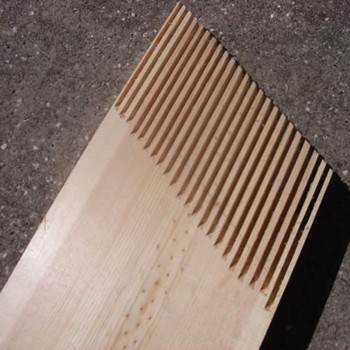 There is a myriad of small woodworking projects perfect for beginning DIY projects. 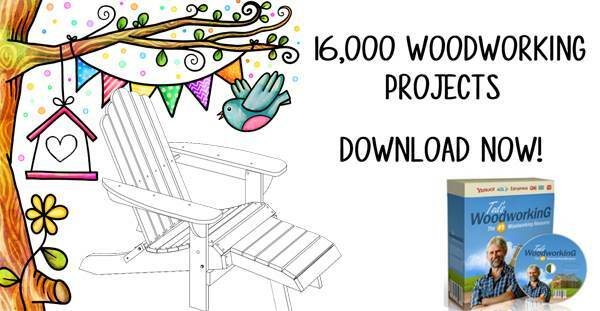 You will find free kitchen project plans, such as nesting trays, drawers, towel holders and plate racks. Hobbyists can produce these items for gift giving, craft shows and fund raisers. Personalized wood accessories are very popular, and the skills learned in basic projects will build confidence for that major furniture project you have always wanted to tackle. 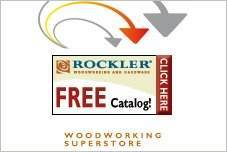 Free kitchen project plans can be customized with various woods and finishes. Add a personal touch with paint, decorative finishes and stenciling. Adding molding and trim can dramatically change the appearance of a simple project, giving it real upscale decorating style. Plans for building a handy bar or buffet table that is designed to wrap around a wall. 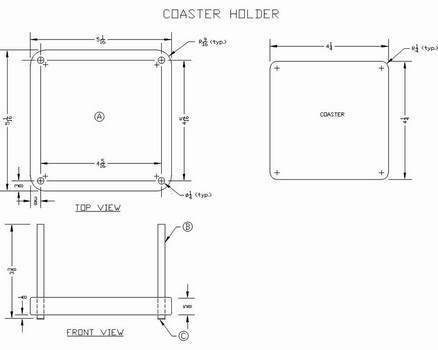 With this plan you can easily build stackable serving trays with side handles for ease of carrying. 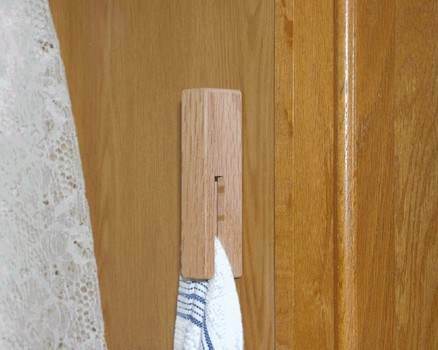 Here is a project for a simple towel hanger that works great for keeping towels up and off the shop floor. 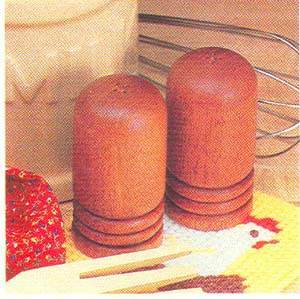 Create wooden salt and pepper shakers with rounded tops using this easy to follow plan. Step by step instructions to make a ceramic tile trivet, a casserole fisher- so you don't burn your fingers, and a finger saver- which is a set of wooden tongs. Complete plans for two-toned wooden salt shakers in the shape of a whiskey jug. 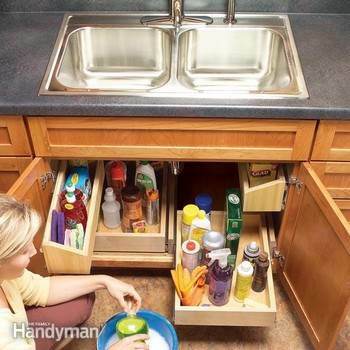 You can build handy trays that fit underneath your kitchen sink and roll out with ease. With these trays keeping cleaning products and other items organized is a breeze. This is a project for a good looking kitchen shelf built out of hard maple that can store an array of kitchen items. 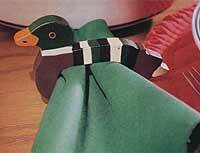 Create napkin holders that look like a colorful Mallard duck just by following these step by step instructions. Easy to make hardwood coasters that will help protect your furniture from glass rings. Keep plastic grocery bags handy and out of the way with this wooden grocery bag holder that has an open bottom where bags pull out easily. 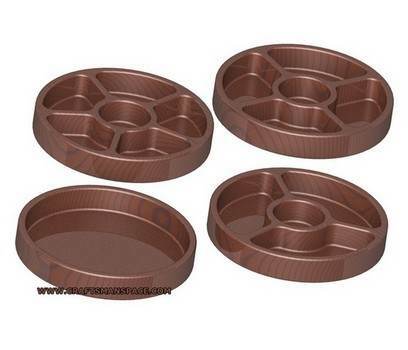 Make wooden saucers for snacks using this plan with helpful tips. 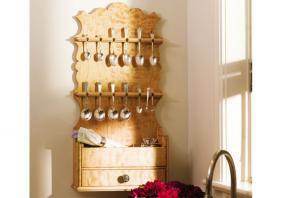 Here is a project for building a beautiful heritage spoon rack to display your collection of souvenir spoons.